Received dulcimer in record time. Well packaged. Beautiful Craftsmanship. Plays great. Fingers slide real smooth on fretboard. Love it. Mel comes highly recommended. Thank you for packing my beautiful dulcimer so carefully. It arrived quickly, in perfect condition and has a lovely warm tone. I'm very pleased with the instrument and looking forward to it bringing me many years of enjoyment. 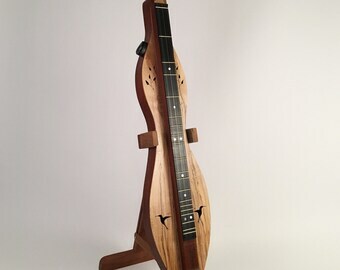 Welcome to Mel's Mountain Dulcimers located in Cincinnati, Ohio. 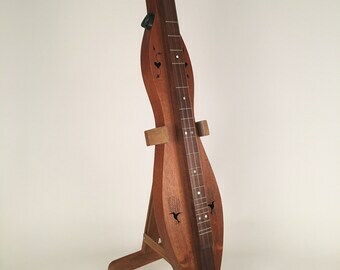 I am spending my retirement years playing and making mountain dulcimers. Each dulcimer is crafted by hand and no two are exactly alike. Contact me with any questions and thanks for looking! All items are insured against damage or loss. If you wish to return the item, do so within one week and I will refund the purchase price after receiving it. You are responsible for the return shipping cost. I ship 1-2 days after receiving notice of the sale. I use USPS for shipping and insure all dulcimers in case of damage or loss.